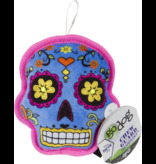 Give your pooch a toy he'll go head over paws for with GoDog Sugar Skulls Chew Guard Squeaker Dog Toy. 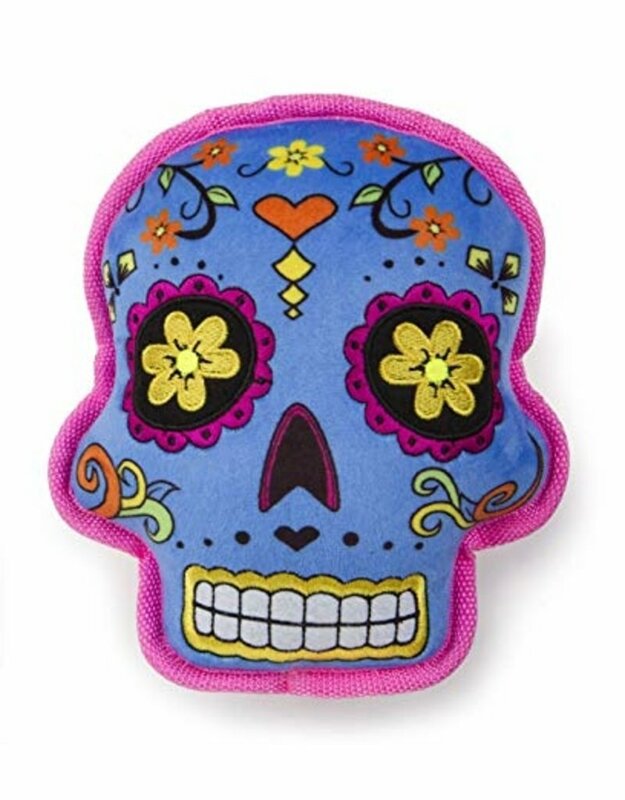 Your pal will love this colorful Dia de Los Muertos toy that’s inspired by the traditional sugar skulls made on the festive Mexican holiday. 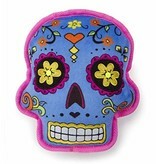 It comes complete with plush exterior and built-in, puncture-proof squeakers. 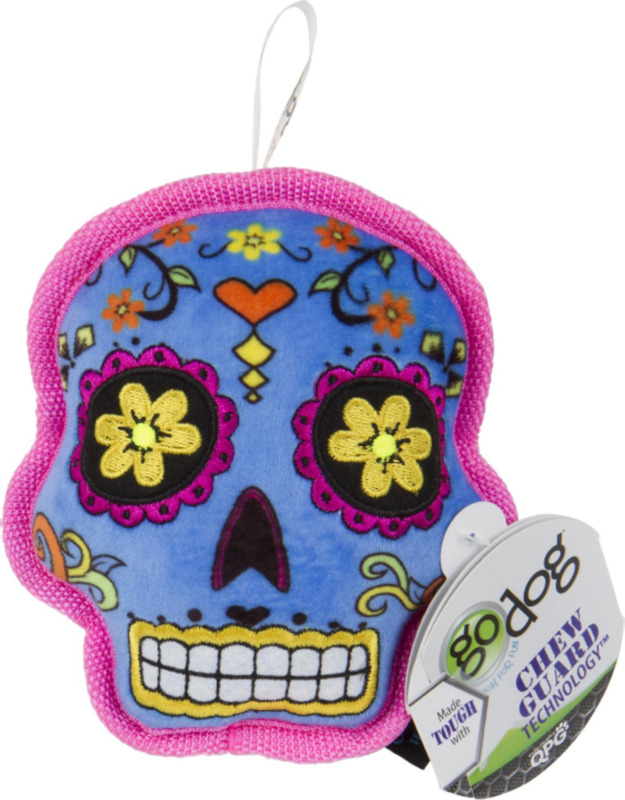 Since it’s made with a super tough lining and reinforced seams, it can stand up to rough play, so it’s great for tossing, chasing and fetching.